Student class size is often a hotly debated issue between parents and state and local education departments. Why? Because several studies have pointed out that students who attend school in smaller classes achieve a greater level of learning. However, smaller class sizes mean hiring more teachers, which in turn costs more money. Currently, 24 states recognize the benefit of smaller class sizes and have either mandated or incentivized schools to follow suit. Still, there are many oversized classrooms with children who risk falling behind. Tutoring in Chicago is a good option for these students, because it provides them the individual attention that they need. Here is a look at some of the negative effects associated with large class sizes. The larger the class, the less time a teacher will have to spend with each student. While teachers often do their best to check in with as many students as possible during the course of the period, an abundance of students simply means he won't have the time. Without that individualized attention questions, concerns and thoughts students have about a particular topic might not get heard. To ensure that your child gets the academic attention he or she needs, consider local tutoring in Chicago. While many students are on their best behavior during class, there are some who prove to be disruptive. A teacher has a better shot at dealing with disruptive students in a smaller class, rather than a larger class where other students might decide to act out, as well. A smaller, focused classroom provides a more positive learning envirornment for students. In a large classroom, students aren't be able to participate in group discussions as much they would in a smaller classroom. Less opportunity to participate means that their voices won't be heard as often, and risks students becoming disengaged from the lesson. High school tutoring is a good way to provide students with the chance to engage with the content they are learning. Elementary school tutoring is also a good option for younger students. In a large classroom, it is more difficult for a teacher to stay on top of the strengths and weaknesses of a particular student. In a smaller setting, teachers might be able to take the time to correct or encourage students in a particular area because they become more intimately aware of the work. However, in a larger classroom, the individualism of a student's skill set becomes blurred with other students. 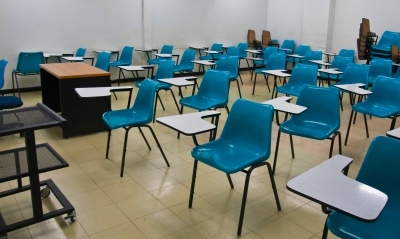 If your child is feeling lost in a large clasroom, Chicago tutoring is a great option. The one-on-one educational setting and personalized curriculum can help a student of any age catch up. Larger classroom result in less individualized attention from the teacher. Larger classrooms lend themselves to a more disruptive environment because there are more students to manage. Larger classrooms mean less participation by students in group discussions. Teachers aren't be able to identify the strengths and weaknesses of students in a large classroom the way they would in a small one.